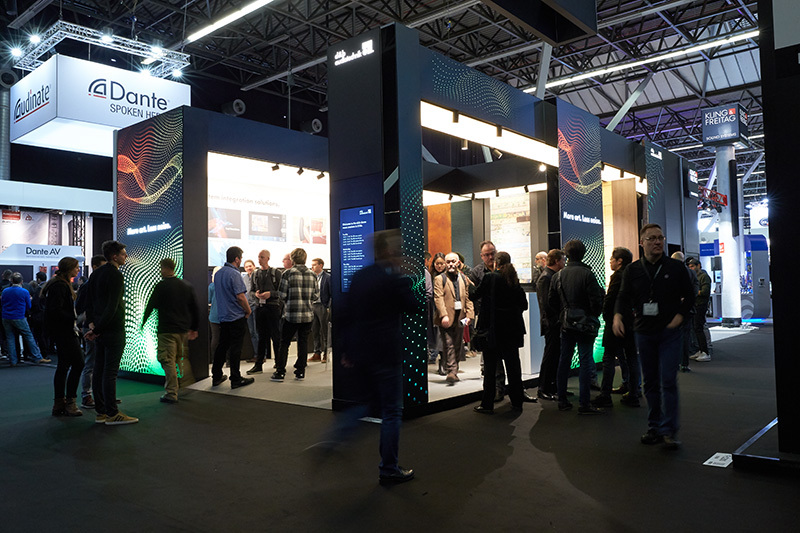 AMSTERDAM – At a lively RAI Amsterdam, the d&b audiotechnik team could be found deep in conversation with enthusiastic visitors, discussing the latest offerings at Integrated Systems Europe (ISE) 2019, the world’s largest exhibition for AV and systems integration professionals. The show was a hot spot for multiple new d&b products developed for audio system installation and integration, with the launch of the R90 Touchscreen remote control for d&b sound installations, the DS20 Audio network bridge, the first d&b Milan network protocol enabled product, and the release of d&b BIM/Revit information modeling solution for planners. 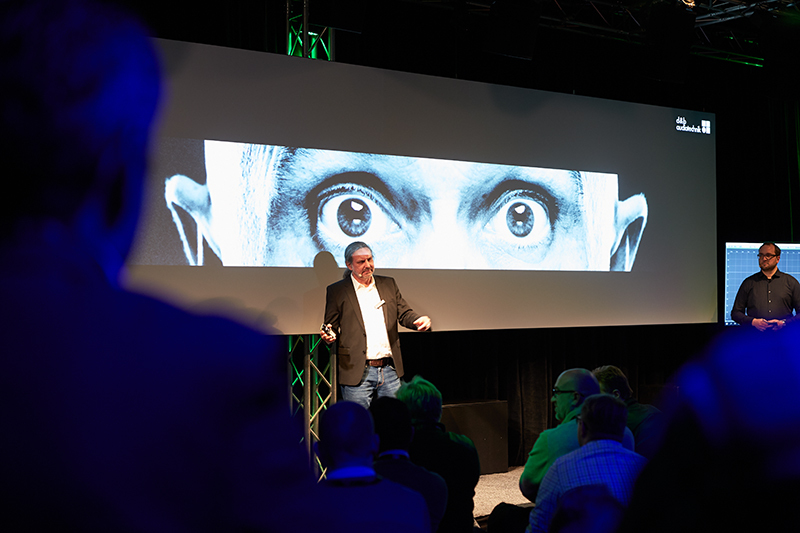 In addition d&b also offered insights on the latest developments with the d&b Soundscape, winner of the 2019 InAVate and ISE InAVation Award for Entertainment and Live Events – Audio Technology, and a focus on Custom solutions for installation projects, including colour and weatherization options, showing the company’s appreciation for individuality and character. At the d&b stand, guests also had the opportunity to meet the newest addition to the SL family, the KSL System, following a successful launch at the NAMM Show 2019 in California. KSL is the latest loudspeaker system from d&b, designed to deliver all the recognizable performance characteristics of its SL-Series lineage, including full range broadband directivity control, extended LF response, and advanced rigging options. The KSL System is scaled to suit a comprehensive range of installation and mobile applications. 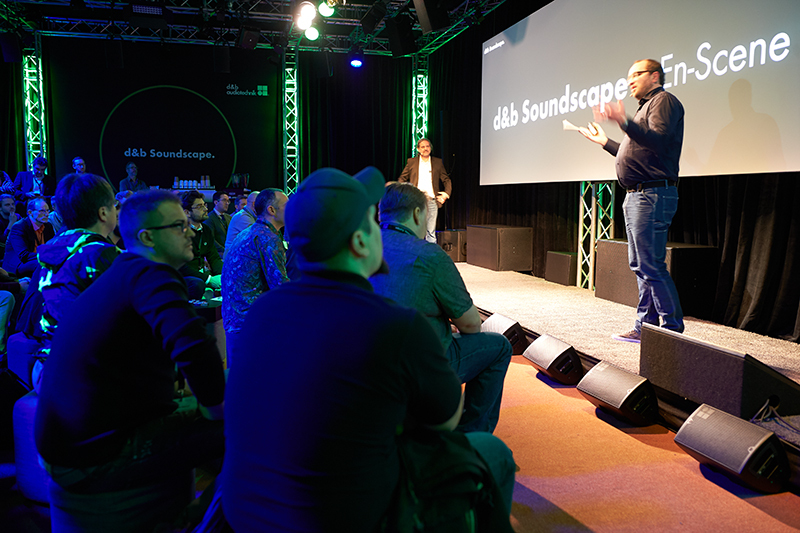 The new products were showcased at the d&b demo room, where guests joined for product listening and to hear the latest on the d&b Soundscape, alongside daily news sessions, in which the team introduced visitors to the R90 and DS20 in more detail.